“Where there was nothing but tundra and forest, today there are now airports, roads, ports, water and sewer systems, hospitals, clinics, communications networks, research labs and much, much more.” (from Senator Theodore F. “Ted” Stevens’ final speech in the United States Senate). I read those words yesterday. When I did, I was sitting in my office in one of those research labs, the Barrow Arctic Research Center (BARC). Down the hall is the beautiful lab occupied by the Nuvuk Archaeology Project. Like so many other things in Alaska, especially rural Alaska, it wouldn’t be there if it weren’t for Uncle Ted. When the building was done, there was a Grand Opening, to which the entire Alaska Congressional Delegation was invited. We were asked to move from our old lab in another building to the BARC, so that some research would be happening there when the opening happened. There was a nice ribbon cutting ceremony, and then the dignitaries toured the building.They visited the lab, and Uncle Ted really looked at the materials we had laid out, asked questions, and was great about taking time to talk with high school students. 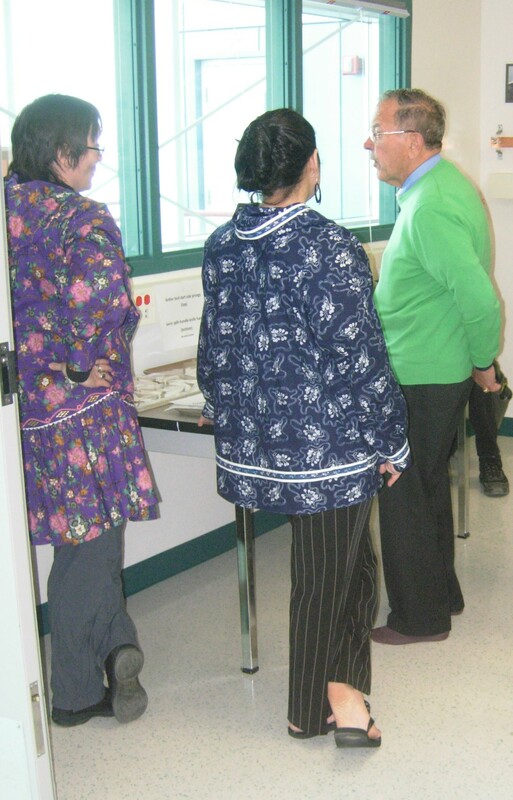 Senator Ted Stevens talking to Selma Khan and me in the Nuvuk Lab at the Grand Opening of the Barrow Arctic Research Center. He was particularly fascinated by some Yankee whaling gear that we had recovered from the work area that had been used by an umialik (whaling captain) and his crew. When he (and Representative Don Young–the only one Alaska has) posed for pictures with the students, he wanted to hold one of those artifacts, a Yankee whaling iron. 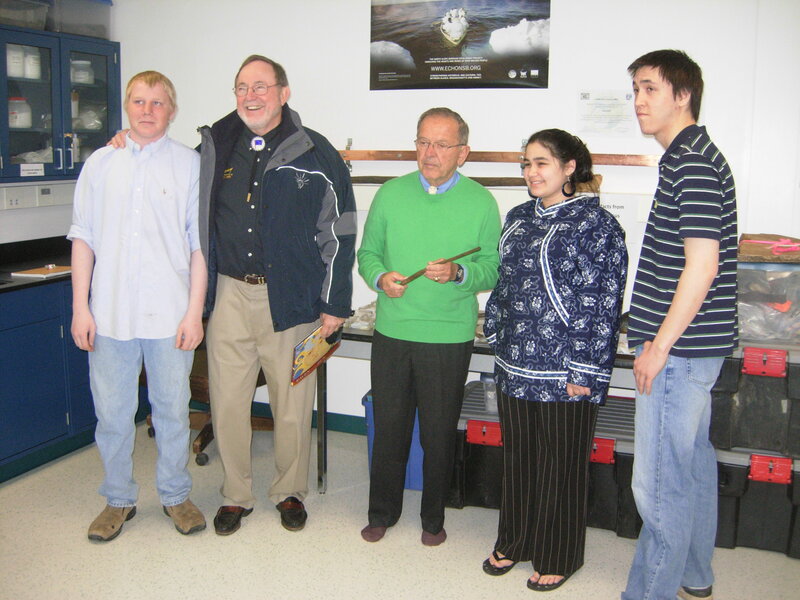 David Patton, Representative Don Young, Senator Ted Stevens holding a Yankee whale iron, Selma Khan and Ben Frantz III in the Nuvuk Lab at the Grand Opening of the Barrow Arctic Research Center. Ted Stevens was a gentleman and a truly great man. He spent his adult life in public service, for Alaska and his country. He was a genuine war hero, with a Distinguished Flying Cross to his credit, flying transports in the China-Burma-India theater during WWII. He graduated Harvard Law, worked as a federal prosecutor in Fairbanks, served at Department of the Interior in the run-up to statehood, practiced law and was first appointed to fill the seat of the late Senator Bob Bartlett in 1968. He won election to that seat, and served Alaska in the US Senate for 40 years. There, he had a huge influence on the state of Alaska, and the US as well. Ted Stevens was a major factor in shaping the Alaska Native Claims Settlement Act (ANCSA) which more-or-less settled the thorny issue of Native land claims, established the regional and village Native Corporations, and made construction of the Trans-Alaska Pipeline possible. He got the TAP through the Senate, and that made Prudhoe Bay development possible. Prudhoe Bay supports about 90%± of the State of Alaska budget, so this would be a very different place had that not happened. He was influential in drafting the Alaska National Interest Lands Conservation Act (ANILCA), which set aside a considerable amount of federal land in Alaska (not so popular in Alaska; it cost Mike Gravel his Senate seat) and protected Native subsistence rights. He co-authored a fisheries act that made the Alaska fisheries the best-managed in the US, and among the three best in the world, improved fishing safety (the Deadliest Catch isn’t anymore), and figured out a way to get some of the money being made on those fisheries to the impoverished original residents of the region. The Denali Commission, which he established based on the example of the Appalachian Commission, has brought money to the state to help poor rural communities raise their standard of living to something a bit closer to what most Americans simply take for granted as their birthright. He worked incredibly hard to improve aviation safety, not only in Alaska, but throughout the US. He kept the USPS from degrading service to rural Alaska, and pushed the bypass mail system, which kept mailing costs (and the cost of living in rural Alaska) down a bit, and insured some revenue to passenger carriers, keeping routes to small rural communities which can only be reached by air commercially viable. People in Alaska know that he fought for them tirelessly, and almost to a person can cite something he did that made their lives better. He wasn’t about power for power’s sake, or for personal aggrandizement. He knew that power & seniority were tools so he could do a better job for Alaskans. I’ve noticed that some non-Alaskans don’t get it. They just see Ted Stevens as a pork-barrel politician. They are wrong. He did indeed bring money to Alaska. That was his job. It was also the right thing to do. 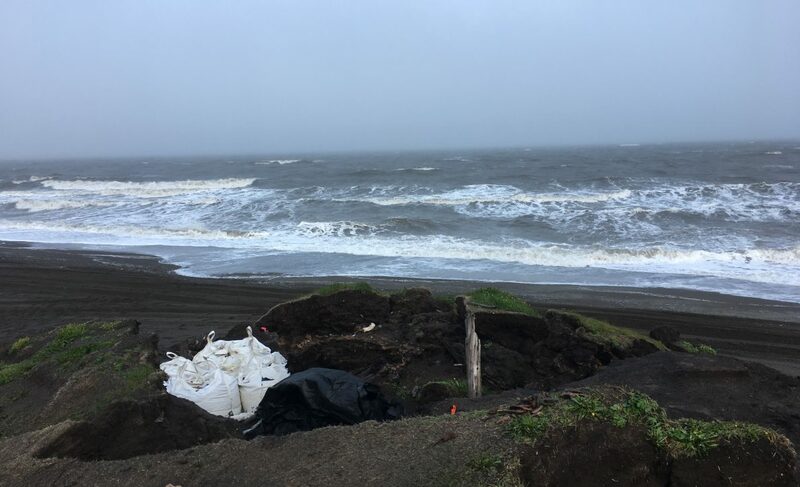 For a good century, fortunes in gold, whale oil and baleen, furs and fish have been hauled out of Alaska to places like Seattle and San Francisco, leaving precious little benefit to the people of Alaska. With the exception of Hawaii, the other states of the union have benefited from a century or more of federal largess, either in the form of direct federal investment like highways, locks and dams, or by way of indirect subsidies like tax breaks or free land for railroads, homesteaders and so forth. When Stevens took office, the state of sanitation and public health in many rural villages might have been the envy of peasants in rural India, but not of most other people. Conditions were worse than most Americans can even imagine. People were poor, had little opportunity for Western education, in many cases were far more fluent in their Native language than in English, and had been pushed into moving into houses that were impossible to heat without expensive fuels that required cash to buy in communities where there was no wage labor. A lot of people would have just ignored these folks, because there aren’t very many of them, and they were not politically sophisticated. Ted Stevens didn’t. He did the principled thing. When Ted Stevens tied on the Incredible Hulk tie and headed for the Senate floor, he was fighting for what was right, as he understood it. He didn’t just think of Alaska, either. He fought very hard for funding for the National Endowment for the Arts (NEA) and National Public Radio (NPR), even when that was not a position popular with the Republican party. He was also instrumental in restructuring the US Olympic movement to bring central control to the USOC. He was a proponent of Title IX, which has been of so much benefit to so many female athletes throughout the US. He was willing to work with those on both sides of the aisle, in order to get things done to benefit his state and his country, and he was very effective at it. Along the way, he survived a plane crash that killed his first wife, and all but one other person on the Learjet. Unfortunately, he didn’t survive this one. Alaska and indeed the world, is a poorer place for it. May he, and the others who perished with him, rest in peace. Thanks, Anne. You’ve given me a much fuller and more complete picture of the man and his sense of responsibility to his constituents. And may Alaska and her people continue to be represented and spoken for with the enthusiasm that Senator Stevens brought to the job.